We were quite famished after our book shopping, but the place we had intended to have lunch was closed for renovations! 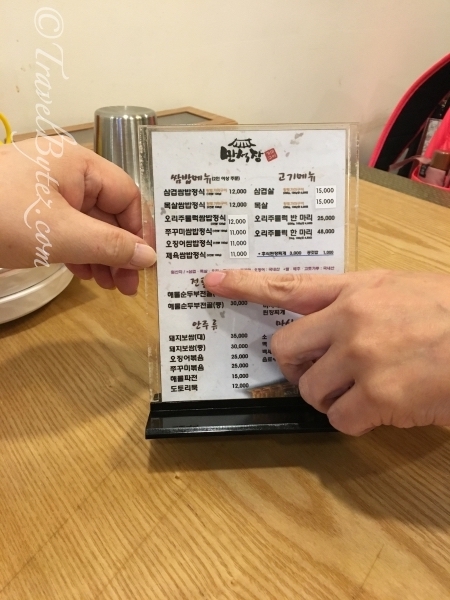 It had quite a novel concept – western food served in a traditional hanok, and the reviews were apparently pretty good too. Unfortunately, it was just not meant to be. 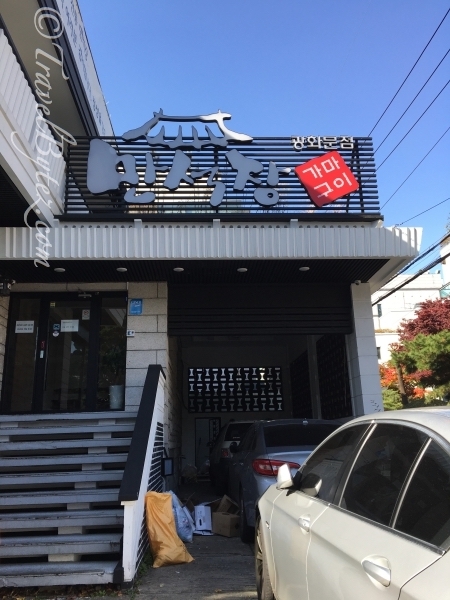 So, we wandered around the vicinity and came across this Korean BBQ restaurant - 만석장. 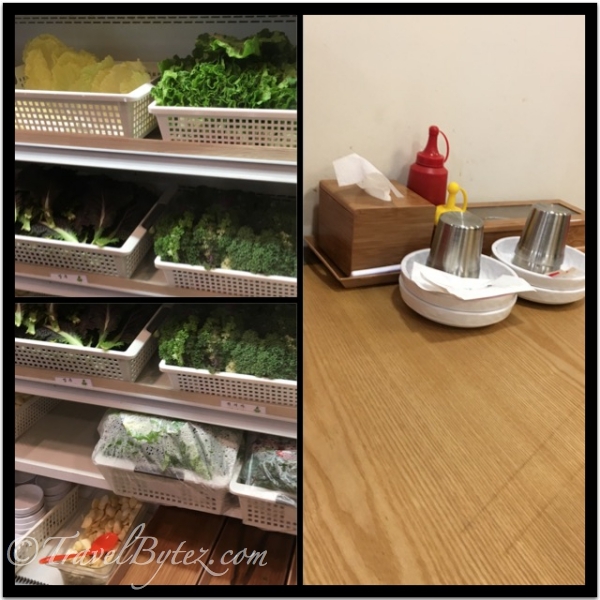 The setting was quite homey and the leafy vegetables (to go with the barbecued meat) were free-flow, and plenty in variety (the only one I recognized was lettuce). 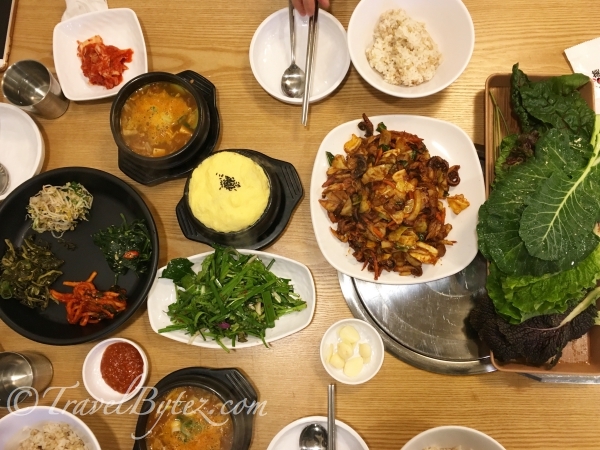 It was a good thing we had a native Korean with us as she helped to order the food. Service was prompt and efficient too. Once our order was taken, in the time that we were choosing the leafy vegetables to wrap the bbq, most of the food already arrived on the table. We had the barbecued squid, steamed egg and bean paste / tofu stew, along with hot steaming bowls of rice and free-flow of ban chan (side dishes). It was quite a feast, especially after book shopping and walking for so long. The chewy squid dish was not too spicy and perfect with rice or wrapped in the leafy vegetables and condiments, while the steamed egg was light and fluffy. It was quite satisfying washing the all down with the delicious hot piping stew during the meal. By the time we were done with the meal, we were quite full, but amazingly after walking out in the cold, I mean cool weather outside, we soon had room in our stomachs for dessert. It was in the early afternoon around 2pm when we tried looking for a café nearby, but it was quite a challenge. We found quite a few cafes, but they were either too full or not yet opened / on break-time. After walking past at least 3-4 cafes, we finally stumbled across Café 느티 (Neuti).